It’s My Party (& I’ll cry if I want too) DSP, though I doubt anyone would be crying if they were lucky enough to receive one of these cards ;-). 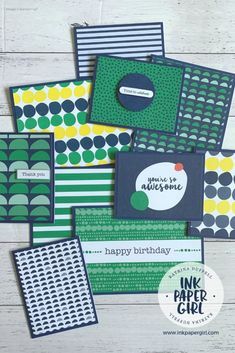 Say hello to the “It’s My Party” Designer Series Paper from Stampin’ Up!. You can find this totally fabulous paper set in the current Occasions catalogue which will run until May 31st 2016. It’s comprised of 48 sheets of double sided 12 x 12 inch paper, so it’s definitely a whopper of a pad! 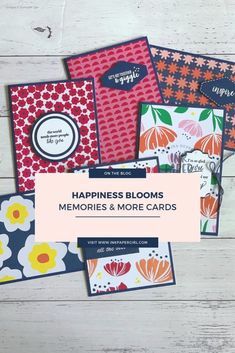 It’s also great value as it features both feminine & masculine designs & colours & as it comes in 12 x 12 inch size it’s suitable for scrapbooker’s & card makers alike making it a truly versatile pack :-). I myself have used these papers for a variety of things including in a card making class that featured the Large Numbers Framelits Dies & coordinating Number of Years Stamp Set & most recently on the weekend when my best friend & I had a time out from our families & sat down together to make a huge batch of cards! Do you have a crafting friend that you like to get together with? It’s always great fun & super relaxing to create & bounce ideas of one another :-). 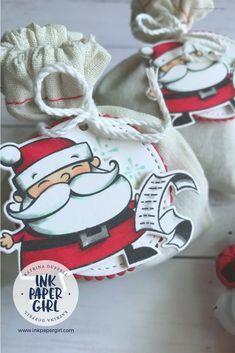 Now because these fab papers are from Stampin’ Up! they will coordinate perfectly with the cardstock & inks from their core colour ranges….But the awesomeness doesn’t stop there!! To make your life easier, you can order the It’s My Party Cardstock Pack which includes Melon Mambo, Mint Macaron & Crushed Curry for variety & it’s great for making sturdy card bases or dies cuts. Want to step it up a little more? Add the Baker’s Twine Combo Pack (Melon Mambo/Basic Black & Mint Macaron/Basic Black) & get some dimension with the It’s My Party Enamel Dots (Melon Mambo, Mint Macaron, Crushed Curry). Not finished yet? Well then, throw in some It’s My Party Designer Washi Tape! It’s SO pretty & there are 5 rolls of Washi Tape in this pack making it excellent value. If you would like to receive one of my handmade cards as part of the part the #imbringingbirthdaysback movement, then let me know. Leave me a comment or email me at katrinaduffell@outlook.com.au with your details, (including your date of birth of course) & I’ll pop a card into the snail mail just for you :-).